Time is flying here in the office, it's crazy. We always have things to do, so it's just go, go, go all the time. It's pretty fun. This week was traslados (transfers), so things were pretty busy. 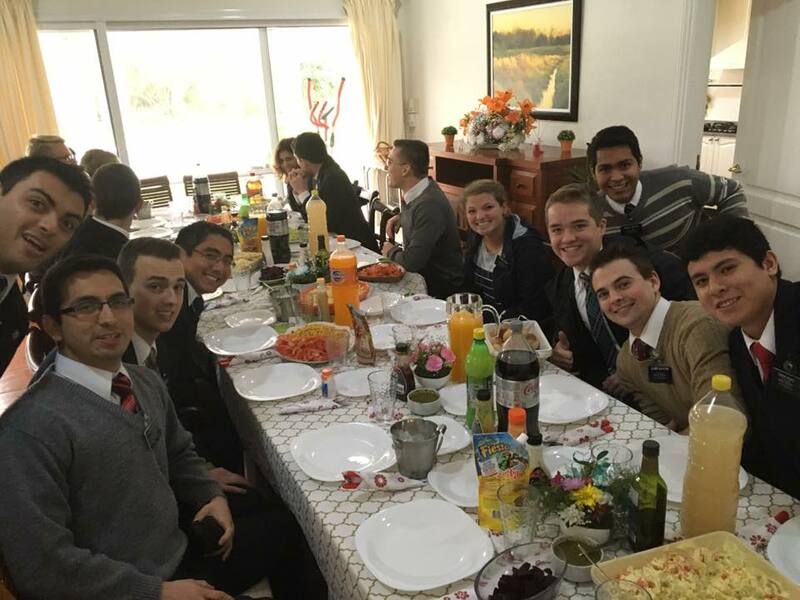 On Monday, we had a farewell lunch for all of the missionaries who were going home. Before that, to prepare, Elder Clayton and I went to buy ice cream for the week, since there were going to be various lunches and meetings, and Presidente Perez wanted to stock up. We bought 28 kilos (62 pounds) of ice cream! Jaja the face of the lady was priceless when we told her how much we wanted to buy. We had lunch with all of the missionaries going home in the mission home, along with the asistentes, us (the oficina), and Presidente and Hermana Perez. It was cool, especially since it was my first time in the mission home. It's in a private neighborhood well outside of Santa Fe that's pretty high end. It even has its own golf course! We're going to talk to Presidente Perez to see if one day for a special pday he could get us in to play golf for a little bit. :) After the lunch we all sat around talking for a while, signing journals and things like that. 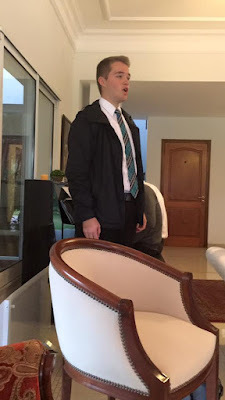 Hermana Perez asked me to sing for them as a farewell gift, so I did that too. It was a good day. 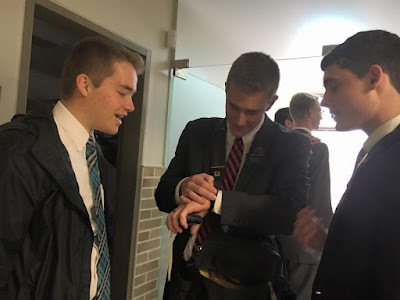 Tuesday the new missionaries got here. 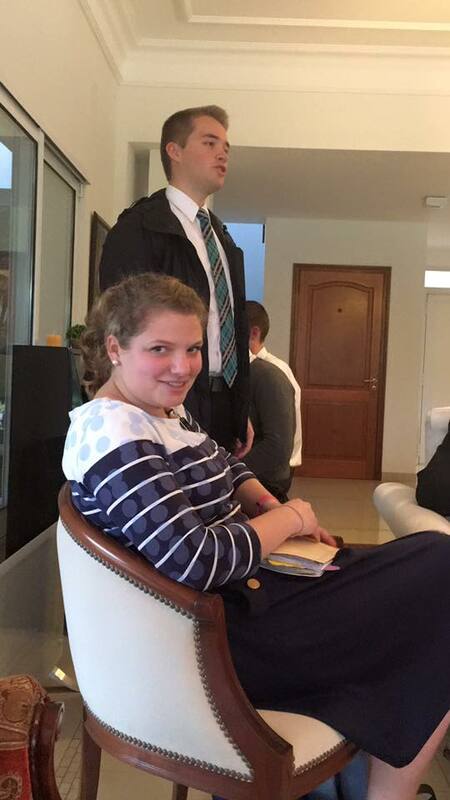 There are only two this transfer, an elder from Utah and a hermana from Paraguay. 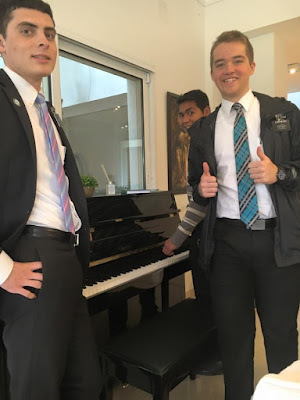 We met them when they got to the mission office, and got to know them and talked to them for a while. They'll be great missionaries. That night we went out to dinner at a café with the new missionaries. Wednesday, we had the training meeting for the new missionaries, where they met their trainers and the leaders from the mission. 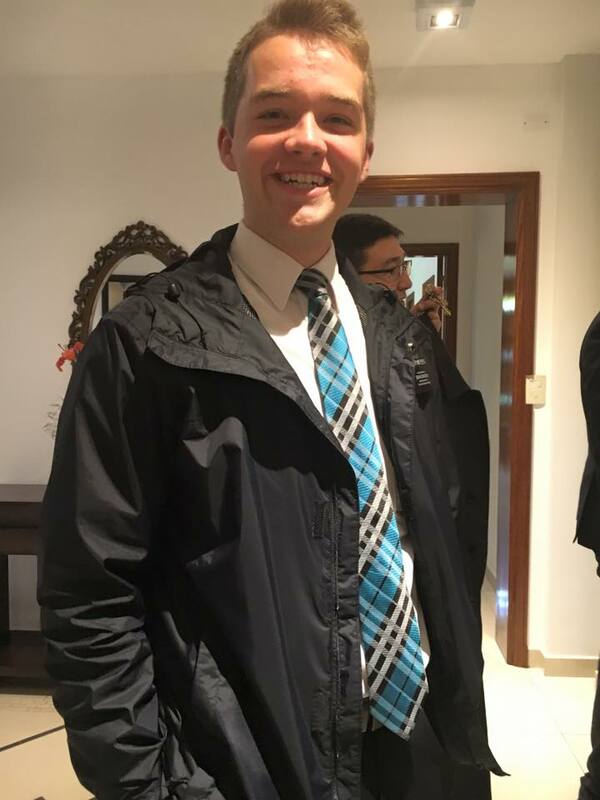 That was my first time presenting all the financial rules of the mission, but luckily it was only two missionaries, so it wasn't a lot of pressure. We had lunch that day too. (I think I've gained more than a little bit of weight this week.) After that, we went back to the office and got everything prepared for Thursday which was Consejo de Líderes (Leadership Council). Presidente Perez wanted us to give a presentation on the finances of the mission to all of the zone leaders, especially since there were five new zone leaders this transfer. 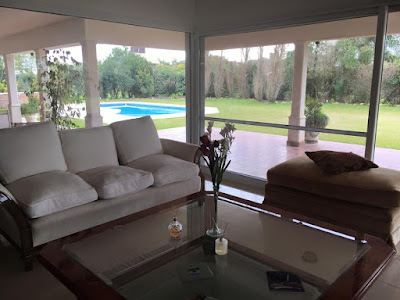 We also were working like crazy to get things ready in the office, because the Area Accountant had told us that he was going to come earlier than expected to do a training with us, and he told us he was coming Thursday. So Thursday we went early in the morning to the mission home, gave our presentation, and then came straight back to the office, where the accountant met us. 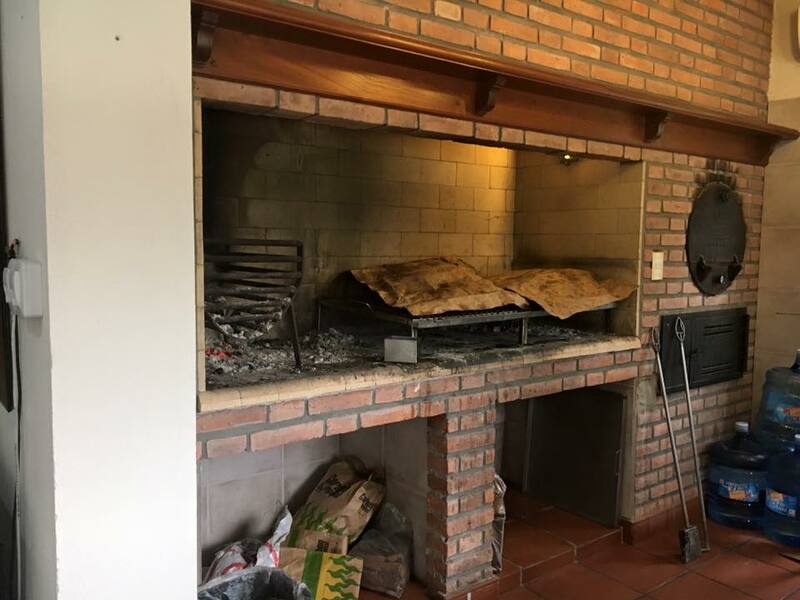 His name is Gonzalo Gomez Paz, and he's from Buenos Aires. I forgot to take a picture with him, sorry. But he was super cool, and he helped us out BIG TIME. I understand a lot of things a lot better now, and I have a much better grasp on my job as financiero. Not nearly as much uncertainty. He was with us all day, and when Presidente finished with his meeting with the zone leaders, he came and joined us, and we met for the rest of the day. I can't even begin to explain how helpful it was. Definitely a blessing for me. Yesterday we didn't have anything special, but we had a lot of work to do since we were a little behind with all of the things that happened this week. Today was definitely a long-waited pday, as we were very tired after a jam-packed week. It has been a great experience to be so close to Presidente and Hermana Perez. They are amazing people, and their wisdom and spirituality help me in so many ways. 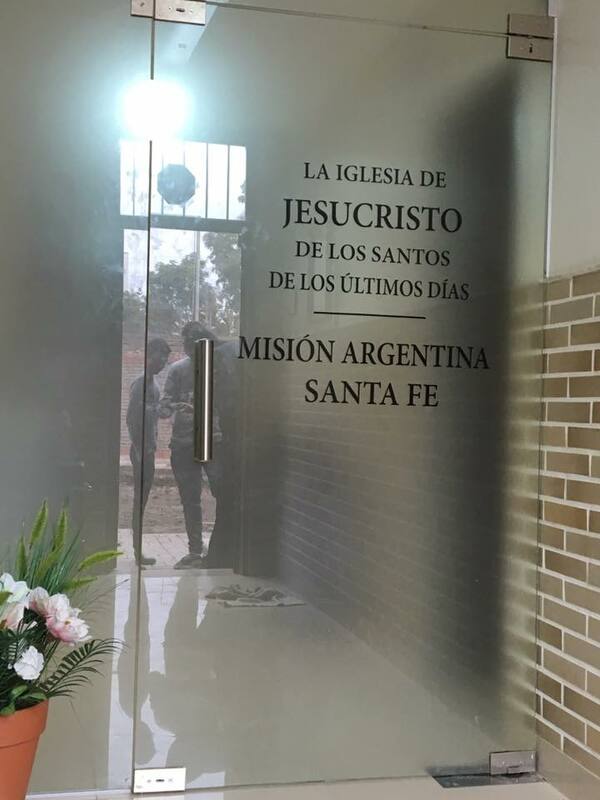 I am amazed at how they take on all of the responsibilities of the mission, and I know that the Lord is helping them, because seeing all of the things that they have to do, especially Presidente Perez, I know that there's no possible way that he could accomplish so much without the help of the Lord. The Lord truly qualifies those who He calls. One thing that has been super important for me this week has been reading the scriptures. It's so important to remember to read the scriptures every day, even when we are super busy and it seems like there is not time, if we make time for Him, He will make time for us. I know that as we put Him first in our lives, He will help us accomplish all of the things that we need to.